We are pleased to introduce representation in Belgium with Multiple Cargo Consult BVBA (MCC). Managing Director, Emile Vanderbist (photographed right) has been working in the industry for over 30 years and comments; "We are very pleased to become a Cargo Connections member as we are looking for partnerships with small and medium sized agents who can make the difference with the major freight forwarders. I have worked in the transportation business for many years and strongly believe in partnerships with fellow freight forwarders that are built on trust, friendship and reliability". 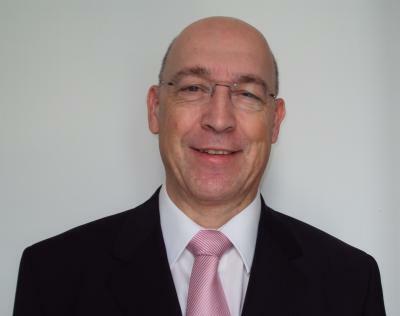 We are also pleased to note that Emile Vanderbist from MCC will be attending the 2019 Cargo Connections Annual Assembly taking place in Dubai from 17-19 March. Representatives from all major world markets are expected at the conference which will consist of a welcome gala dinner, 1-2-1 business meetings and an exclusive Dhow dinner cruise. A great opportunity to meet our latest new member! Please click here to book your space ASAP if you haven't already! Emile continues; "Multiple Cargo Consult is a full service, international freight forwarder providing a single contact for all freight and shipping related services. We are committed to excellence in global transportation and logistics provision and dedicated to delivering exceptional customer service, high quality standards, cost effective & efficient solutions and procuring professional & neutral advice". MCC offer a full range of freight forwarding services including: air freight, sea freight, truck transport, customs clearance, door-to-door services, warehousing, distribution and chartering.